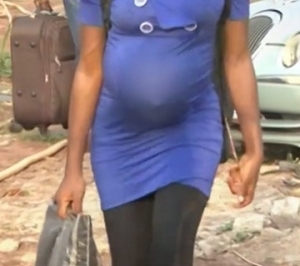 Officials of the Nigeria Security and Civil Defence Corps (NSCDC) have arrested a woman, Mrs Esther Akunmadu, for running an illegal baby factory and harbouring pregnant young ladies for the purpose of selling their babies after birth. Parading the suspect on Friday at the command headquarters in Owerri, the Imo State capital, in south-east Nigeria, the Deputy Commandant of the NSCDC in Imo State, Mr Ade Micheal, said the woman was arrested in Umuchoke in Obazu Mbieri, Mbaitoli Local Government Area of the state. Mr Akunmadu, 52, was arrested after a tip-off that led to an intelligent and careful monitoring of the activities of the operator for close to a week before closing up on her. Mr Michael said that the preliminary investigations revealed that the woman had been into the illegal business for over one year. At the period of arrest, two male babies, 2-day old and 2-week old baby were both recovered from her illegal maternity home. He also said that while she was about to be arrested, she tried to bribe her way with the sum of 100,000 Naira which his men rejected. The Deputy Commandant warned all parents and guardians to be conscious of the activities of people living within their neighbourhood especially during this election period. He emphasised that the command would ensure that all such activities would be nipped in the bud. He also said that the command would hand the babies to the ministry of women affairs and social development in the state and also hand over the operator to appropriate authorities for further prosecution. Mrs Akunmadu, when interrogated by reporters, had a different story to tell, contrary to the testimonies of the NSCDC officials. She claimed she was a retired midwife and that the alleged illegal and unregistered baby factory was a home for women who wanted to give birth. She denied that she ran a baby factory but accepted that she was trying to bribe her way out of the security operatives’ net. A 21-year old pregnant girl and one of the inmates in the illegal maternity home, told reporters that her mother brought her to the place without knowledge of the dealings between her mother and the operator. If going by the recent motion moved by the federal lawmakers on the prescription of 10-year jail term for anyone that harbours a pregnant girl for the purpose of giving birth to children for sale or running an illegal baby factory, 52 years old Akunmadu will surely be the first to be prosecuted.